A couple of weeks ago, I was really in the mood for chili. Since I had some chopped chicken in the freezer and a partially used bag of sausage crumbles, this recipe was very easy to throw together. Add the celery, onions and peppers and cook until they start to get tender. Stir in the garlic, cook for just a minute or until fragrant. Careful not to burn the garlic. Add the remaining ingredients, stirring to combine. Bring to a boil. Cover and reduce heat. Allow to simmer for 20-30 minutes. Loved how easy this recipe was to prepare. Using the fully cooked sausage crumbles really helped this meal come together quickly and easily. If you like your chili more saucy, add additional liquid (stock and/or salsa) and adjust the seasonings to your taste. 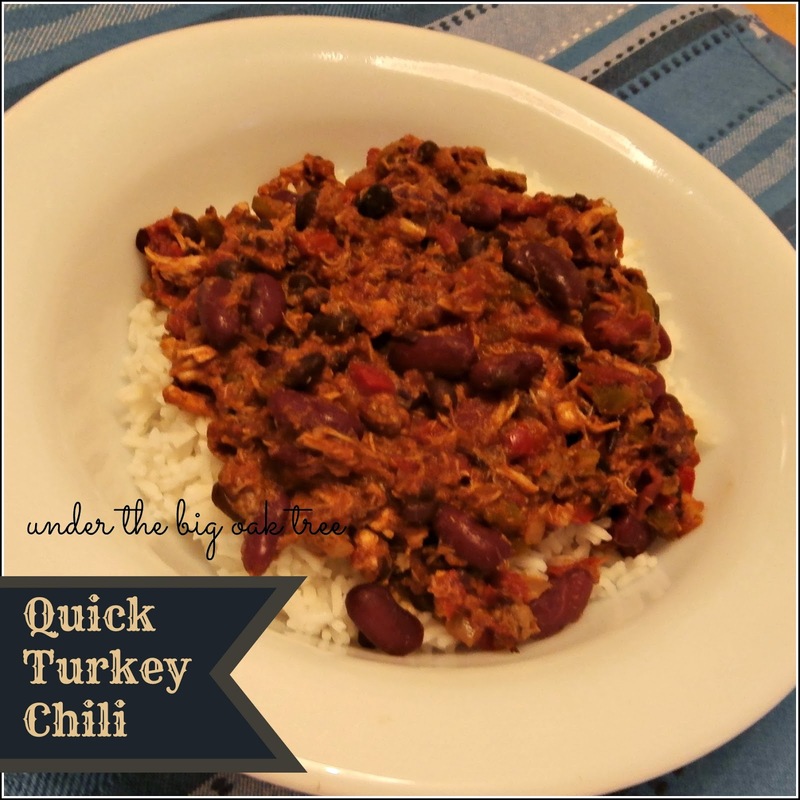 We combined the leftover chili with the leftover rice and froze it for another meal. I'll probably use it as a filling for stuffed peppers.